We have two plays on tonight. They stem from last night’s postponed game : Cubs at Braves. Both teams had their starters face up with Zambrano and Jurjjens. An extra day of rest for these two are big. They are both crafty and powerful pitchers and we like both to win easily. Zambrano is coming off a suspension and anyone who knows the Cubs and Big Z knows that when coming off rest, wether it be due to injury or suspension, he wins the next game. Micah Owings is a good pitcher but has been struggling most of the year, we see Cubs and Zambrano winning this one by four or more runs. Over to Atlanta vs. Brewers Jurrjens is 5-2 and has earned his way into the Ace role. Milwaukee’s Gallardo is coming along but will give up some runs to this Braves team. We see a low scoring event where the Braves win by three or more runs. Baseball is all about pitching. That is 85% of picking the games. We already know how good Zambrano is and he has made the All Star game. 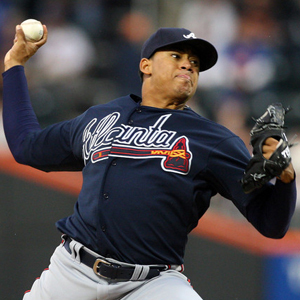 But Jurrjens is the real deal and we really like this guy to get even better as time goes on.